Ignite Jewelry Studios, a shared space for jewelers. Featuring complete equipment access, a variety of workshops taught in all areas of the jewelry field, and a gallery of jewelry made by our talented artists. Ignite is set to open April 1st, 2019. 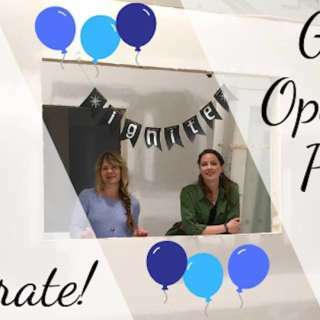 Interested and experienced jewelers should apply now to become residents at Ignite, allowing them access to the studio and the ability to sell their work in the gallery. Weekly workshops will teach a range of jewelry techniques and projects for all skill levels, including enameling, textured silver stacking rings, lost wax casting, stonesetting, and more! Workshops are open to everyone from total beginners to experienced jewelers. Visitors to the River Arts District are welcome to come by the studio and watch the artists at work through the large viewing windows, browse the jewelry in our gallery, and sign up for a workshop.